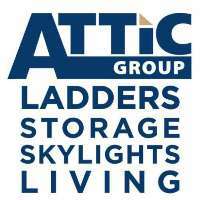 Attic Group located in Sydney are attic space experts that provides Attic Ladders, Attic Storage, Attic Living Space, Skylights & Windows, Commercial Attic Ladders and more. Attic Group is Australia's Attic Specialists since 1975 and has transformed over 40,000 Australian homes. As Australia’s original attic space expert, we can add value to your home through the addition of an attic ladder and dust-proof storage room, skylights and roof windows or a full attic conversion with an internal staircase. We also offer garage transformations and home extensions.